This inspiring book describes the treatment approach, the clientele, and the community networking of Cedar House, a pioneering and successful child abuse treatment program in Long Beach, California. 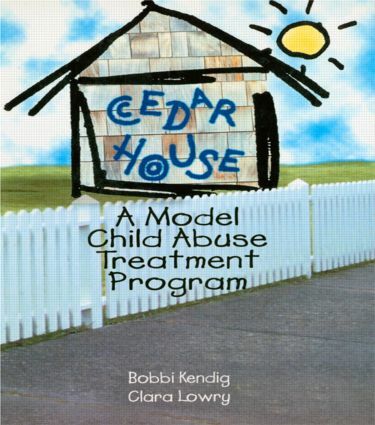 Cedar House: A Model Child Abuse Treatment Program explains Cedar House’s hands-on treatment of families in which children have been abused. Each facet of the treatment process is explored and explained. The authors offer ideas on how the treatment they used can be adapted to your own treatment setting. Cedar House: A Model Child Abuse Treatment Program gives practitioners hope, ideas, and support for hands-on work with multiproblem individuals and families, along with some pitfalls to avoid. Those treating clients who attempt to intimidate with bullying behavior or outbursts can gain understanding and more confidence to deal with others’anger. In addition, therapists and administrators will find ideas for the prevention of burnout. Cedar House: A Model Child Abuse Treatment Program dispels stereotypes and stresses the rewards of child abuse treatment and the joy found in sharing the journey as families find their footing and as children grow and develop. In 1979, Cedar House became the model treatment center for Los Angeles County’s Neighborhood Family Centers. So You Want to Start a Program?